Dab or dollop your home in color. Not sure how to weave living coral into your home’s patette? 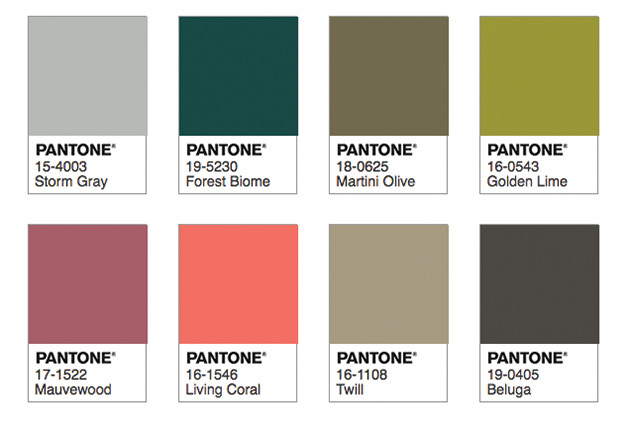 Pantone suggests five stories to consider using alongside living coral. Focal Point welcomes storm gray, forest biome, martini olive, golden lime, mauvewood, twill and beluga. Shimmering Sunset warms with conch shell, hot pink, aurora pink, magenta haze, radiant yellow, amberglow and papaya. Sympatico glows with burnt henna, rose dawn, coral sands, sun kissed coral, candlelight peach, sand and mellow buff. Trippy isn’t shy with Sulphur spring, chive blossom, vivacious, barrier reef, deep lake, Ibiza blue and pink lemonade. Under the Sea is awash with blue depths, Turkish sea, Viridian green, turtle green, sea pink, vibrant yellow and limpet shell. For some, incorporating living coral into their home might mean jumping feet first into a gallon of paint. While some spaces could call for a bright punch of color, there are other, more subtle ways, to keep up with annual color trends. Think decorative décor elements; throw pillows; blankets; small painted furniture pieces; table linens; and more. Trying out a trendy color can be low committment with high impact. Consider updating a bathroom with this sunny, earthy accent. Some versions are muted enough to retain that relaxation vibe or energetic enough to put a pep in your morning step. Think paint, floral patterned wallpaper, towels, even a botanical or geometric patterned shower curtain. Area or throw rugs that combine a burst of beachy coral can anchor a space and help coordinate other elements in the room. Or consider a bold move with accent tiles that are reminicient of that tropical vacation you never want to forget. Don’t forget to use your local garden center or even your own yard for inspiration. Bring living coral indoors with properly-hued varieties of begonias, coral charm peonies, dahlias, Gerbera daisies, geraniums or hibiscus, for starters. Bottom line, when it comes to inviting the color of the year into your home, be sure it will marry well with your overall décor choices. And if it doesn’t, there’s always next year! 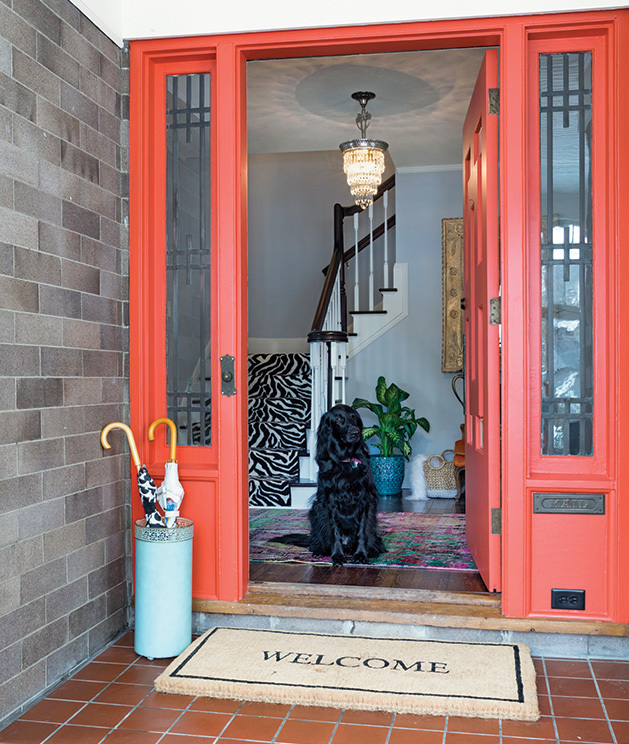 Vujovich Design Build stays on trend with this coral entry.